STYLE: When you need a response, make a statement. Sporty aggressive lines with stacked headlights and LED daytime running lights grab plenty of attention. 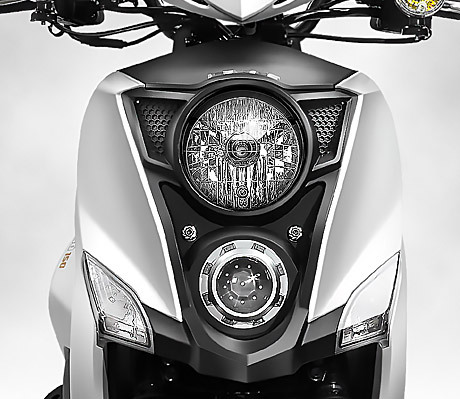 The Lance Cabo refuses to go unnoticed with exposed naked handlebars completing the motocross theme. 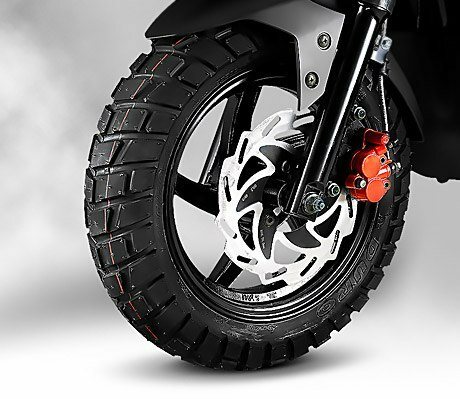 ON THE ROAD: Get extra respect and make a statement on the road with upgraded knobby tires. 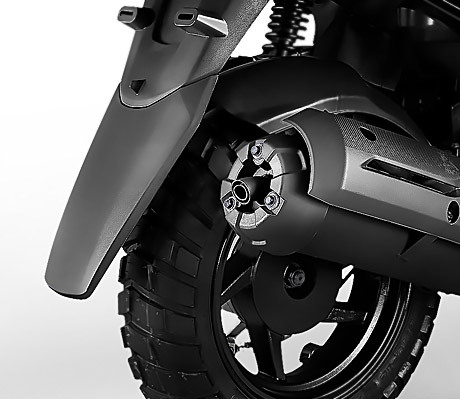 The enhanced front sporty wave disc rotor brakes will have everyone following your lead. CERAMIC COATING CYLINDER: Ceramic Coating Cylinder is a high-tech product, which applies special compound-electroplating process to disperse SiC ceramic particles uniformly distributing on the cylinder wall. The Ceramic SiC material can overcome the weakness of general ceramic materials, and in the meantime it possesses excellent properties of high hardness (wear resistance), heat resistance and etc., which can be the best candidate matching the requirements of the engine cylinder. However, general conventional electroplating techniques cannot disperse SiC ceramic particles on the cylinder wall due to the insulation and high weight. As a result, Lance has developed the special compound-electroplating process to disperse Ni particles and SiC particles on the cylinder wall together, which forms a particular cylinder with the compound-electroplating layer (Ni / SiC), and brings the quality to excellence. 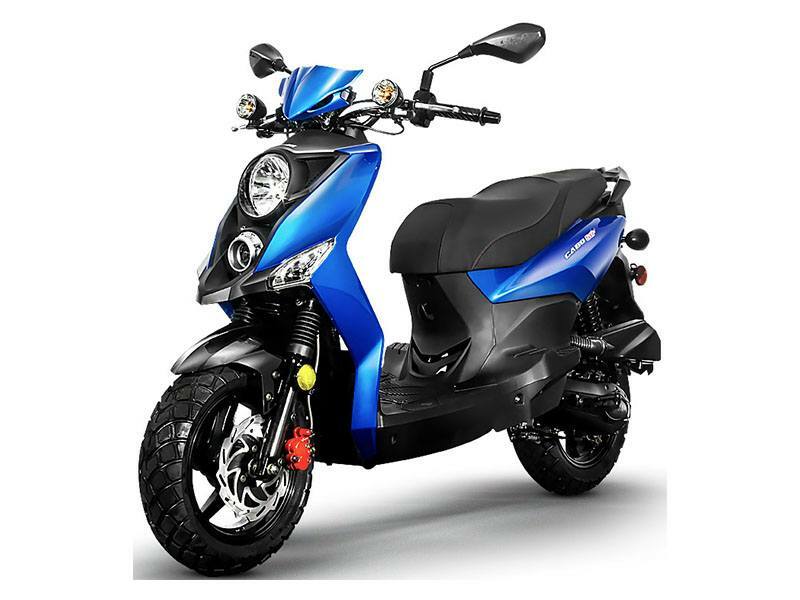 Currently the quality control of mass production has already maintained the defective rate below 0.3%, so the ceramic coating cylinder with high quality and appropriate price can therefore be produced. 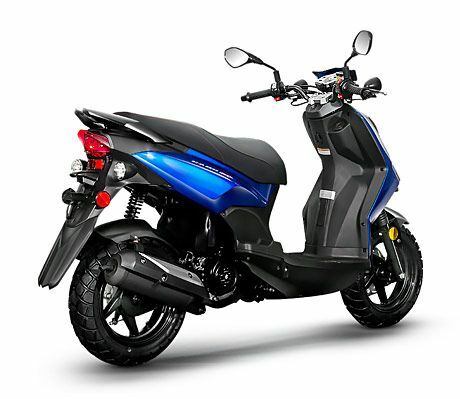 PERFORMANCE: Maximum horsepower is at 8.38 hp with a top speed of 59 mph. Acceleration is smooth and continuous with a steady flow of power that serves its purpose. 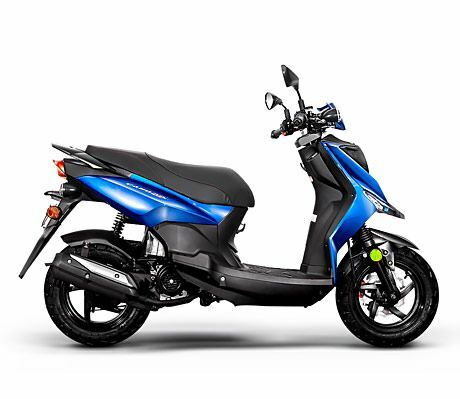 It’s perfect for getting around town but also fast enough for smooth flowing traffic on urban roads. 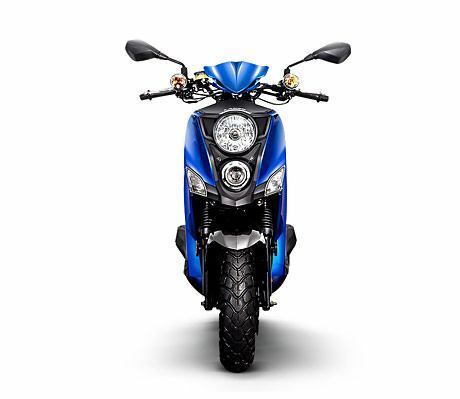 HANDLING: The custom wide handlebars guarantees great road holding. Handling is smooth and ride is easy and fun. SAFETY: The combination of the 120/70-12 in. front and 130/70-12 rear offers just the right mix of agility and stability. Powerful brakes let you stop in every situation. 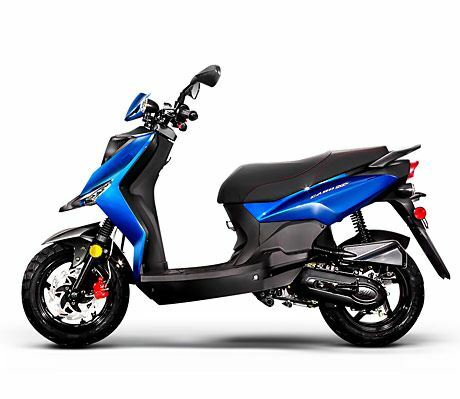 The large front disc with sport style wave rotor (190 mm) is assisted by an effective rear drum brake (130 mm). Used together the brakes stop the scooter fast, with an extremely short braking distance and excellent control of any kind of road surface. 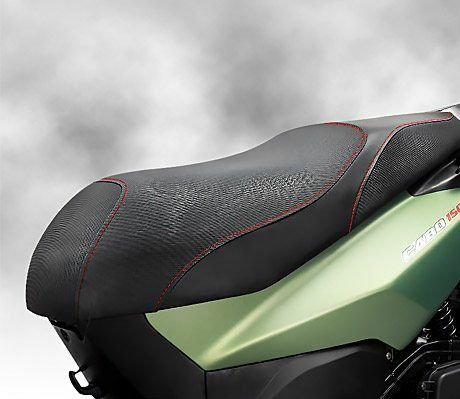 COMFORT: Lance Cabo features upgraded two-tone material seat with red stitch, and riding position is generous and pillion accommodations are good. 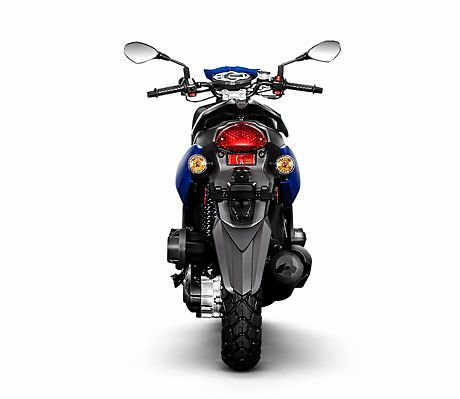 It’s an easy reach to the bars from the seat and comfort is enhanced throughout the floor area. 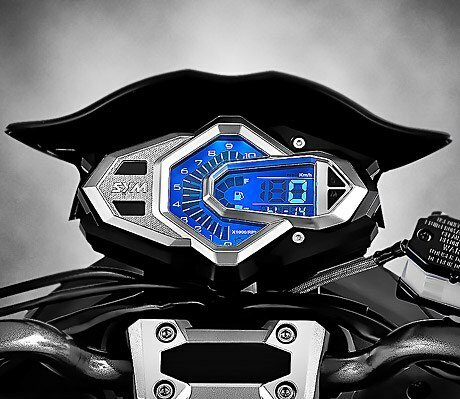 DIGITAL INSTRUMENT PANEL: The instrument cluster on the Lance Cabo features a LCD display with the ability three colors shifting LED backlight. 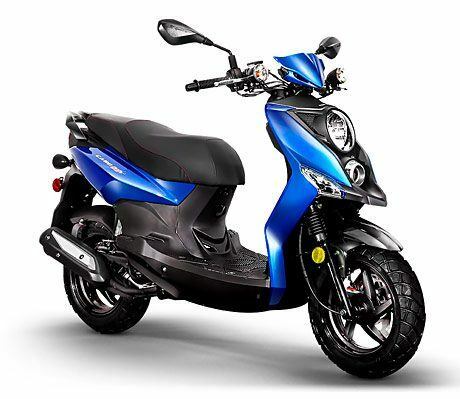 The modern sporty designed instrument panel provides easy to read speedometer, odometer, turn signals and fuel indicator. 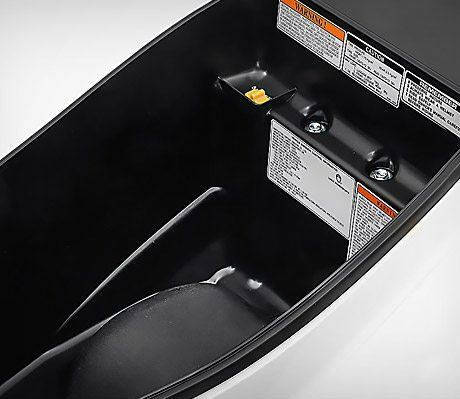 STORAGE: The Cabo’s lockable under seat storage is spacious with plenty of room for a half helmet with a lot of room around it to stuff other things. 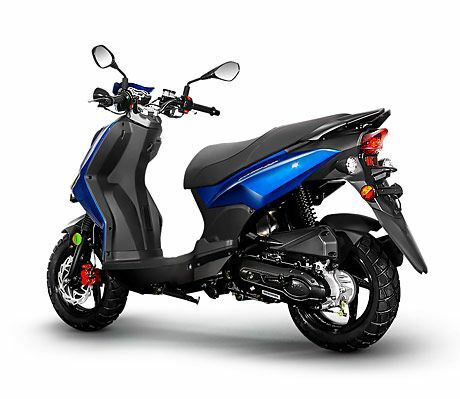 Build by SYM with 24 months unlimited miles with tire to tire parts and labor assurance. Not intended for Off Road use. On Road use only.